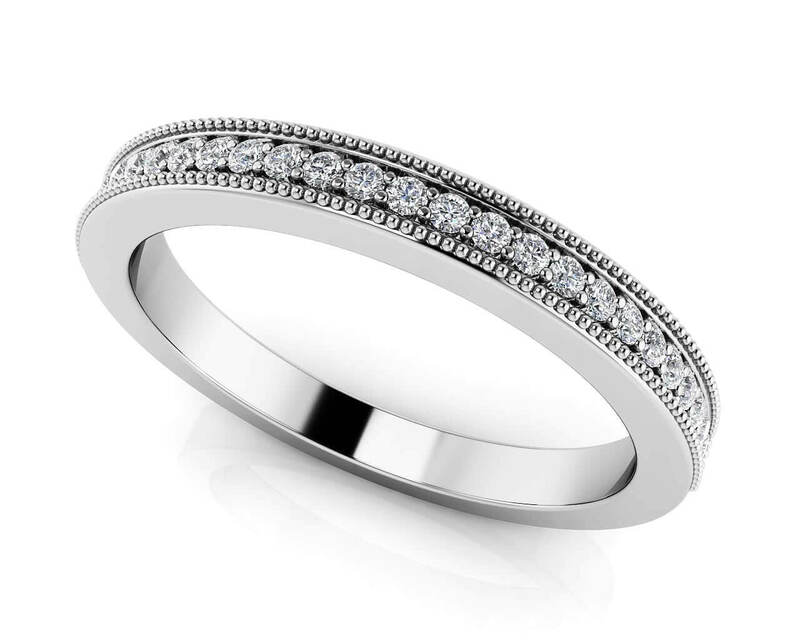 This diamond wedding band has a vintage appeal with the unique millgrain edging along the sides of the ring shank. 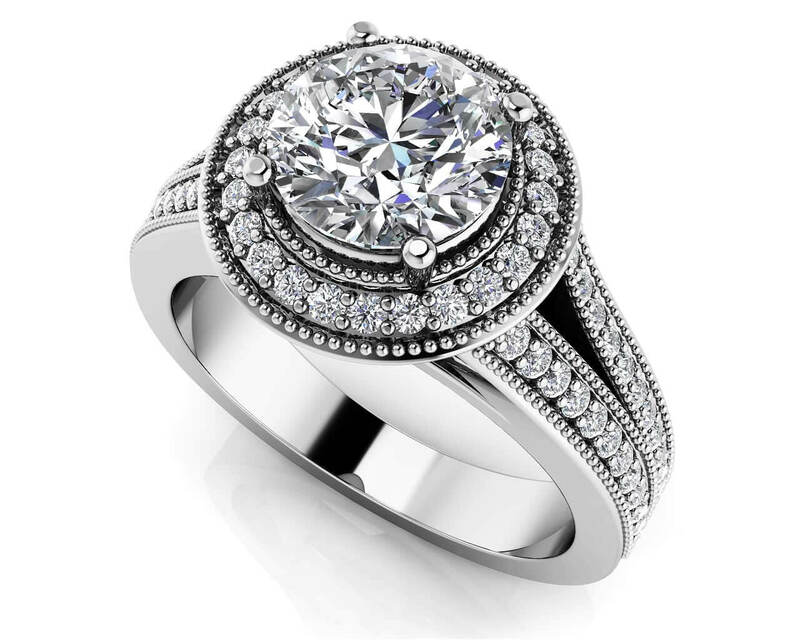 There are 26 beautiful round diamonds, prong set in this ring design. 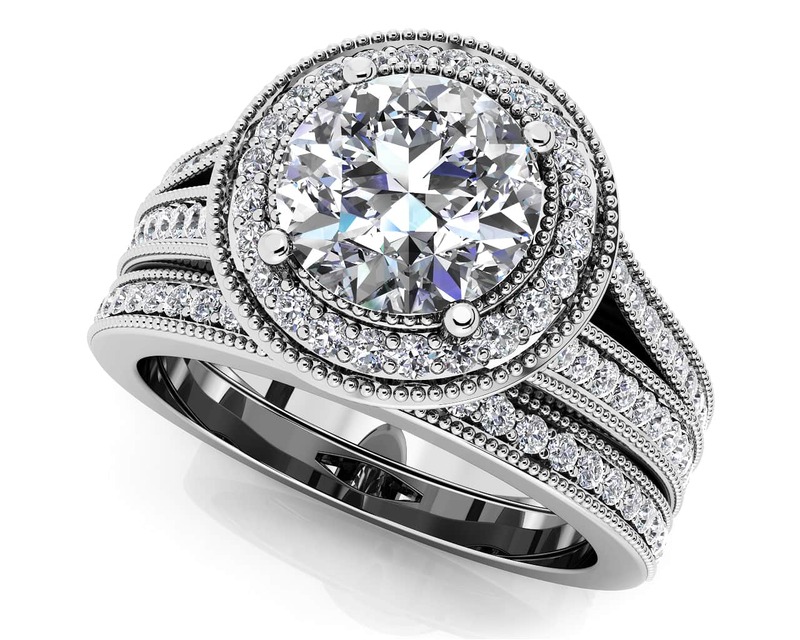 A total carat weight of .13 makes this the perfect anniversary ring or coordinating wedding band. You can customize this ring in your favorite metal type, diamond quality and ring size for a charming diamond band you will adore! Model Carat Weight: 0.13 ct.
Stone Carat Weight: 26X.005 ct.